Here are some top websites to Learn AngularJS online and improve your knowledge by watching training videos. We have taken a good look at the content and added some comments on which websites offer the best online AngularJS training material. Some sites are more focused on beginner web programmers only and cover the basics whereas some offer excellent advanced videos for the more established web programmer. If you have or find any other decent AngularJS video training websites please do leave a comment below. Join 8000+ other developers levelling up their skills. Online training courses with Google Developer Expert, industry speaker, educator and trainer Todd Motto. are free and some you need to subscribe. 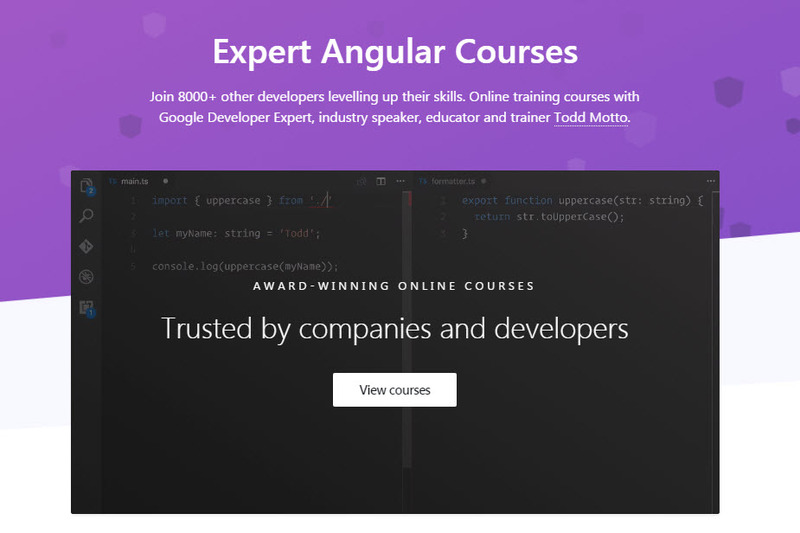 Code school has 12 focused lessons in their AngularJS learning course. This is more your basic course for those who are beginners and it covers the main areas of Angular components, directives, expressions, forms and more. done to develop with AngularJS. one with [Misko Hervey] about AngularJS Code Testability. As soon as I have completed a course at Hadoop course in Ameerpet, I searched for additional subject related topics and found most relevant information on this website.